Chef Anna of Bleu has done it again! 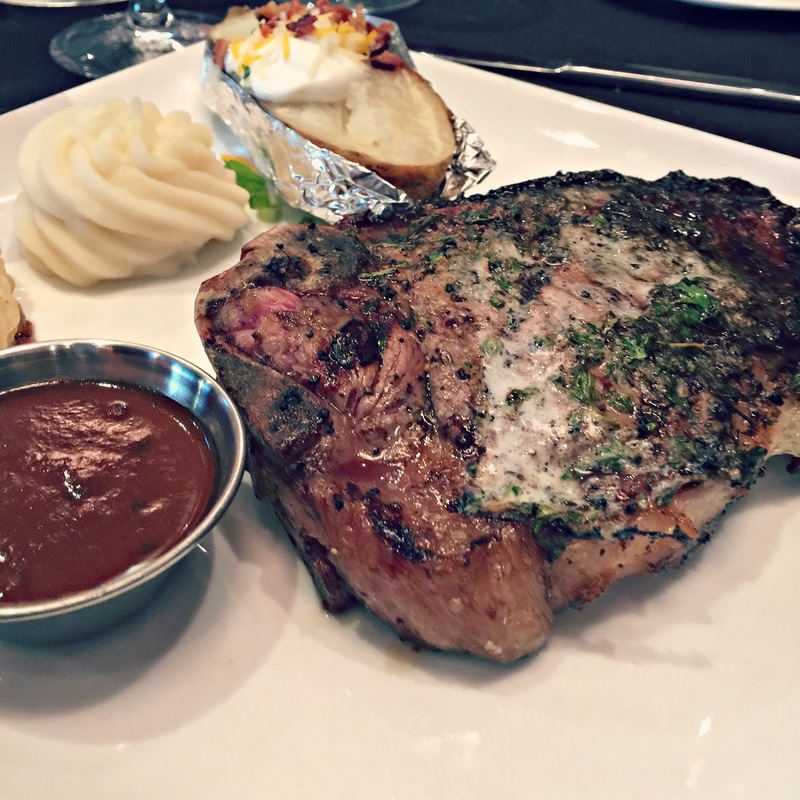 A while back I talked about the amazing brunch that you can enjoy at Bleu, which is conveniently located Downtown by the FedEx Forum. Well, I had the opportunity to get a preview of the amazing event and menu Chef Anna has put together for Father's Day weekend. 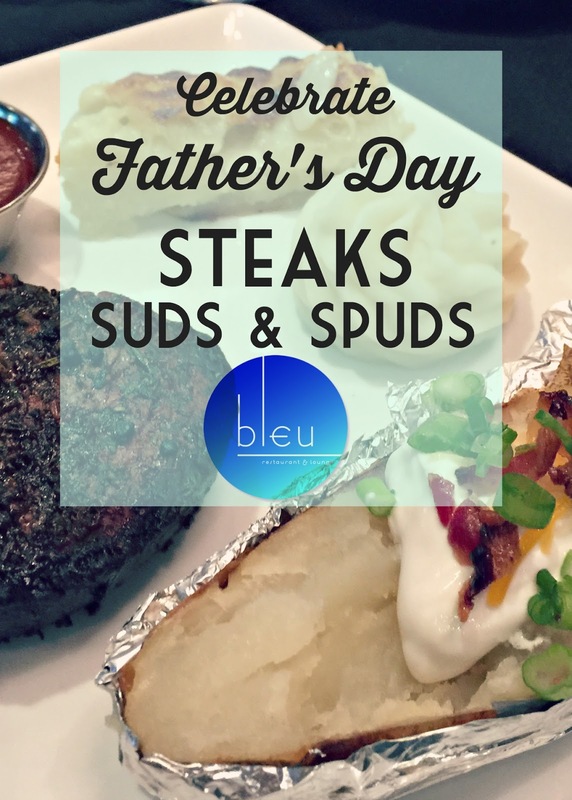 Steaks, Suds, and Spuds is such a brilliant idea that I'm sure any father would enjoy. Did I mention there's complimentary valet parking? 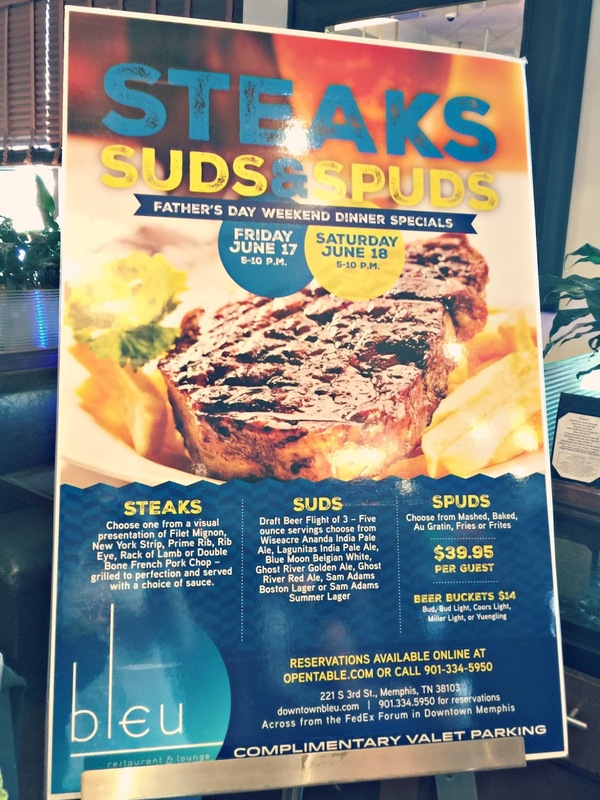 So, how about making a reservation and bringing Dad this weekend! I'm sure he will thank you. Here the lighting is a little brighter than lounge setting, and you can sit at one of their many tables, or grab a seat by the bar. With a large menu of beers, you might have trouble picking just one. The music at this event venue Chicago is always upbeat with a mixture of rock and pop, and the food menu is large as well as their seating.